One hour from Dindigul, the nearest market town and two from Madurai, this delightful hotel is tucked away in the gently rolling Palani Hills of central Tamil Nadu. Surrounded by forest and coffee estates and approached along an avenue or royal palms, it is utterly peaceful. Meals are served in the dining room or al fresco when the climate permits. The delicious South Indian and Mediterranean cuisine on offer is produced from fresh local ingredients which are sourced on a daily basis, by a chef who is equally at home making curries, hummus or ginger lemon cake. Residing as it does in coffee country, pride is taken in serving the finest freshly ground coffee. 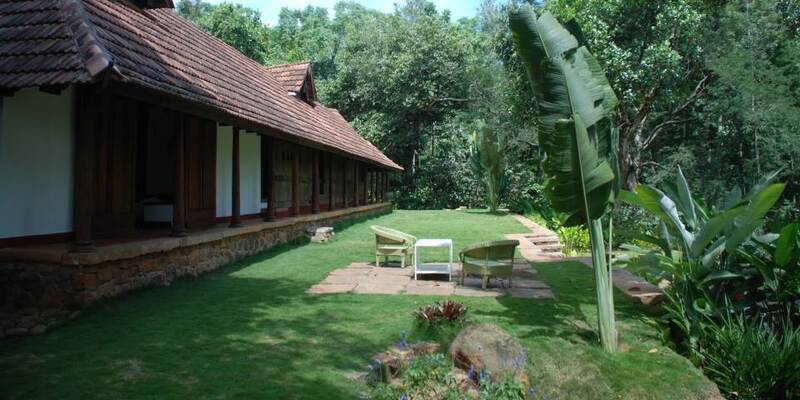 Rajakkad places high importance on its sustainability and strives for minimal impact on the environment. Here is somewhere special to experience nature. Soak up the atmosphere and while away the hours lying in a hammock reading a book. Tear yourself away and take a guided walk through river gorges, perhaps see some of the 200 migratory and indigenous bird species to be found in the area. Visit the farm, the lake or the nearby coffee plantations and the coffee drying yard. It is a wonderful base for excursions to the hill station Kodaikanal and the plains; leave early morning and return to the cool tranquility of Rajakkad. 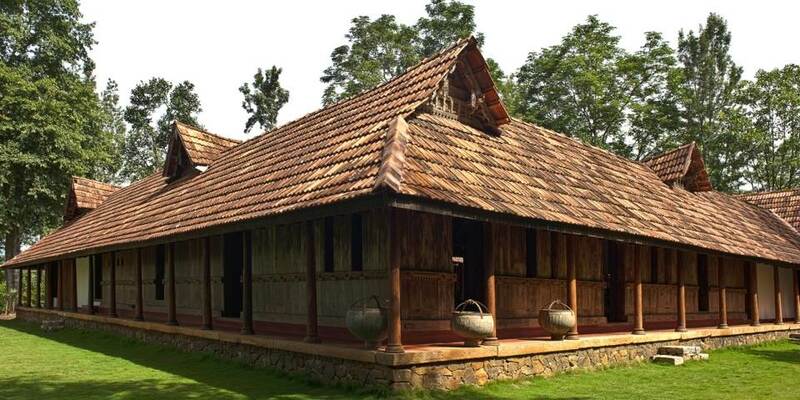 Rajakkad has evolved over a period of time and has been constructed and refined over 250 years; the building comprises courtyards and pools and is naturally cooled by breezes, which waft through louvered screens and doorways. The 8 rooms that are spread around three sides of the palace are spacious and prettily decorated. Each is slightly different but all the furnishings are sophisticated and elegant, with colourful rugs and black oxide floors, the bathrooms, though small have rain showers. The rooms, which remain warm in the winter but are cool and fresh in the heat of summer, open out to the garden where each has a semi private sitting area affording views over the canopy of the forest below.